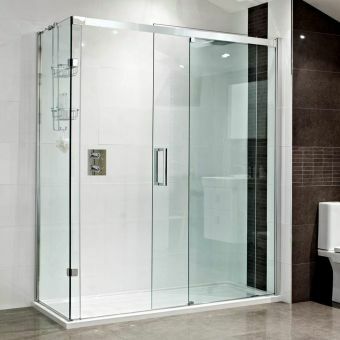 Why not give a real spa feeling to your bathroom with this exceptional corner enclosure from Roman Showers. 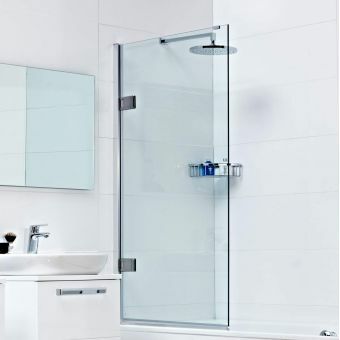 As part of the Decem range it gets good looks, frameless design and 10mm glass as standard. 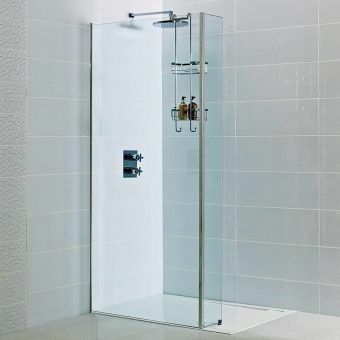 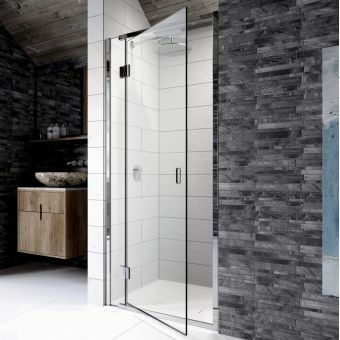 With just two slimline profiles holding the glass in place, it almost disappears into the shower room thanks to its absence of thick framing pieces. 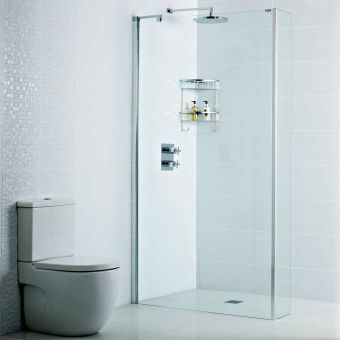 The door opens outwards to allow you to enter without obstruction which is further enhanced by the self-closing hinges which shut after you with a gentle click. 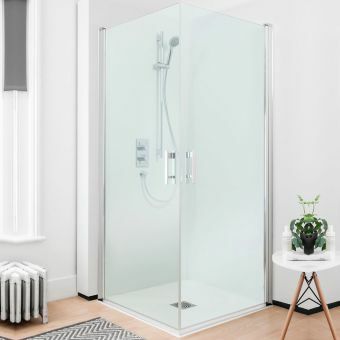 The class-leading 10mm thick glass is coated with Roman's bespoke Ultra Care glass treatment that acts like a wax covering so dirt and grime have nowhere to hide, simply running down the glass and into the waste. 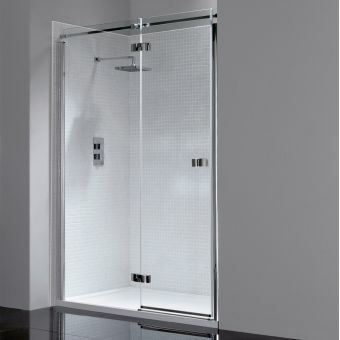 Four door sizes of 760, 800, 800 and 1000mm are matched to the same width side panels allowing you to create a multitude of size options. 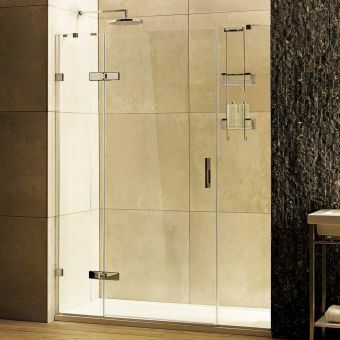 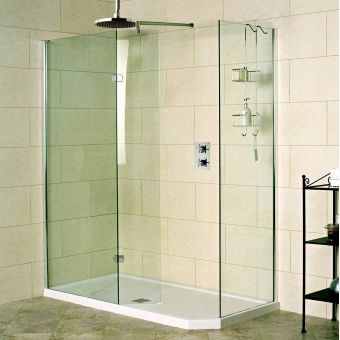 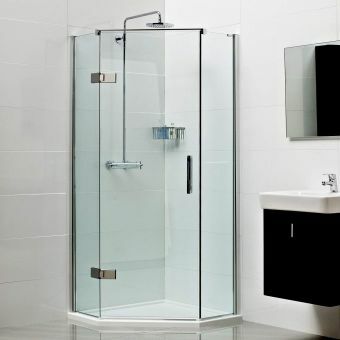 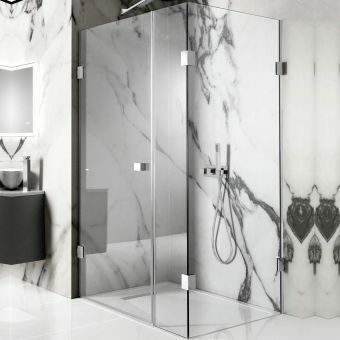 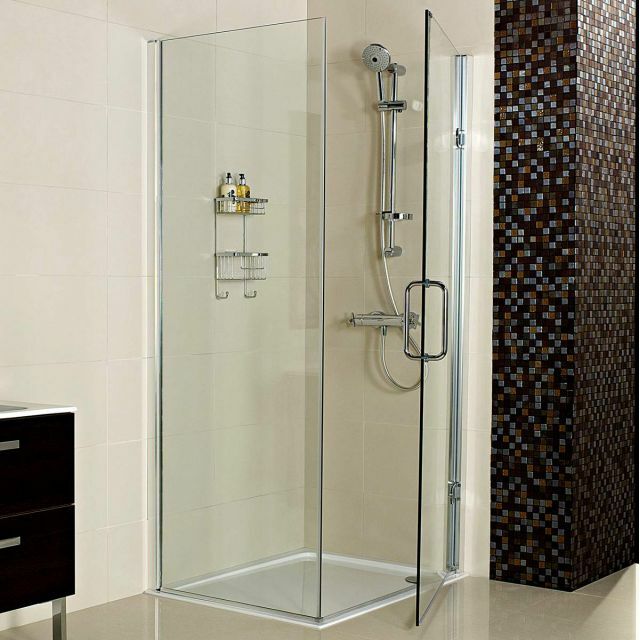 The Roman Decem Corner Hinged Shower Door with Side Panel is a delight to use and offers you an exhilarating mix of minimalism and inspiring innovation.